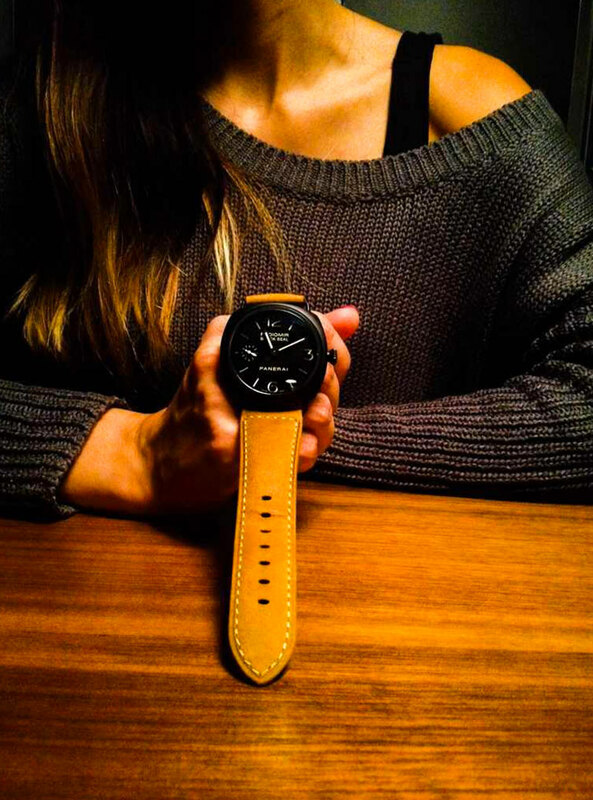 Draxler is from Europe and he took this photo of his wife holding her Panerai Black Seal Reference PAM292. 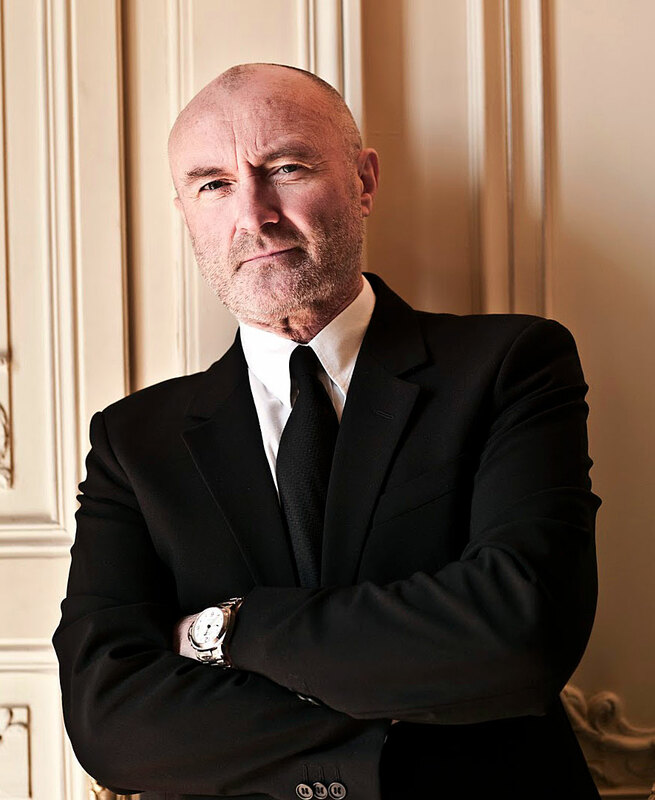 I love this photo, and what a beautiful Panerai watch!!! 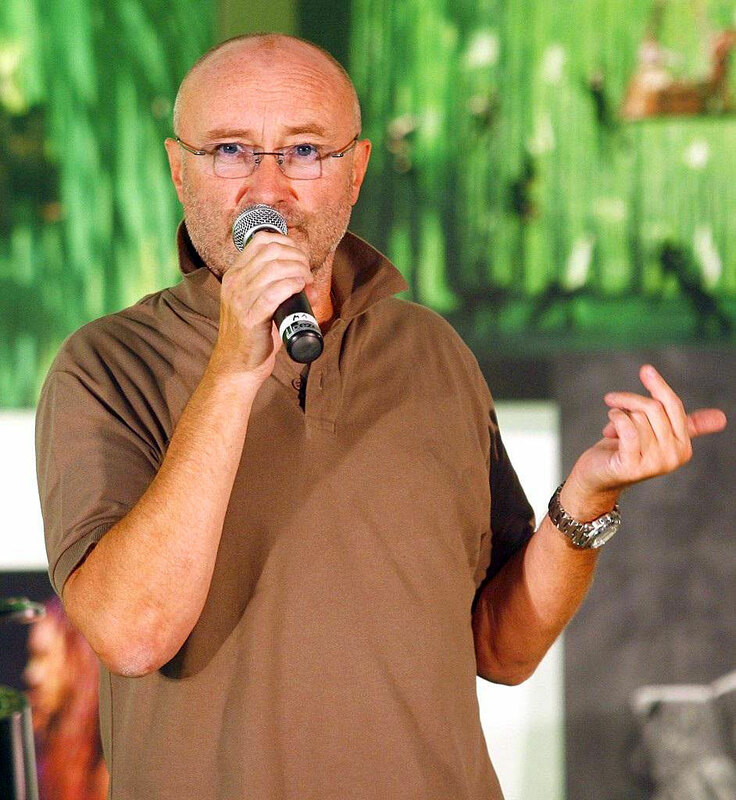 Phil Collins began his ultra-succesful career with the by being a part of the trio band named Genesis, and later went on to have an incredible solo career. 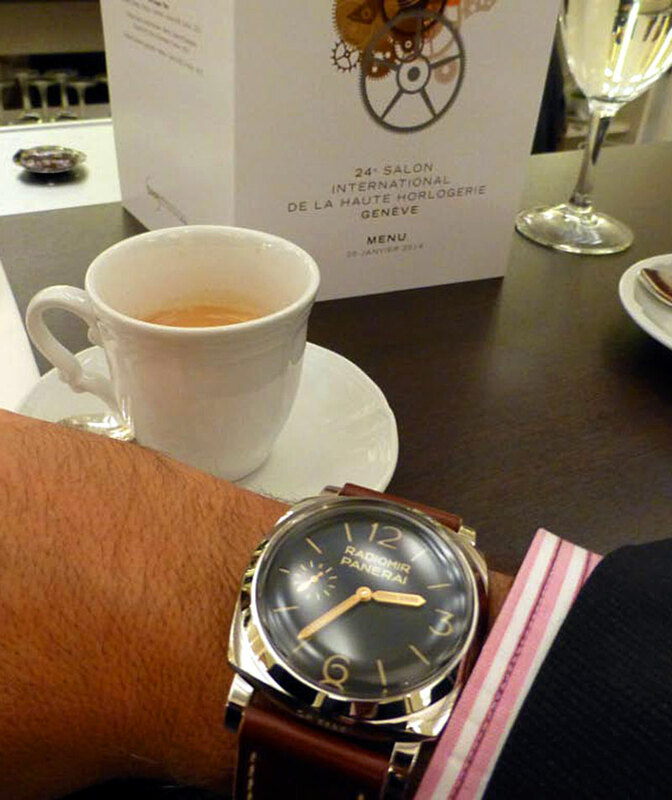 Althaur took this great photo of his Panerai Luminor Marina 1950 3 Days, when he was enjoying coffee with some buddies. I figured since we were taking a look at this great Panerai studio shot of the PAM 422, it would make sense to take a look at the watch. 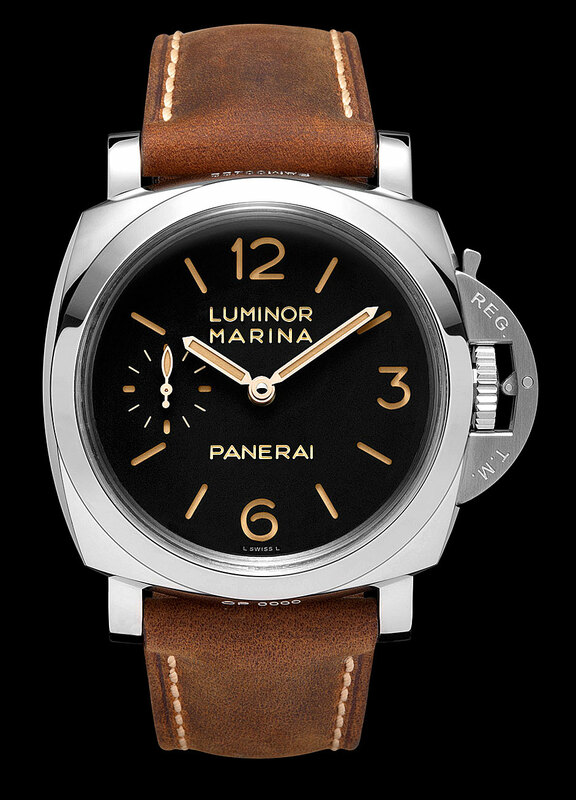 The PAM00422 is somewhat similar to a PAM00372, but it has the second hand at 9, and the Luminor Marina designation on the dial, along with the Panerai designation. It also has a sapphire crystal. I have not had a chance to check out this model in person, but it looks pretty cool. I am working on a big update to my Jon Ham Panerai story, and I thought I would share this cool photo of Jon Hamm sporting his Luminor Panerai back in 2009, with his girlfriend. When I was a child, my grandparents had an unusual looking clock that looked like it had four clocks in one. I asked my grandmother what is was, and she said it had a time clock, barometer and thermometer. and that is was from a boat. 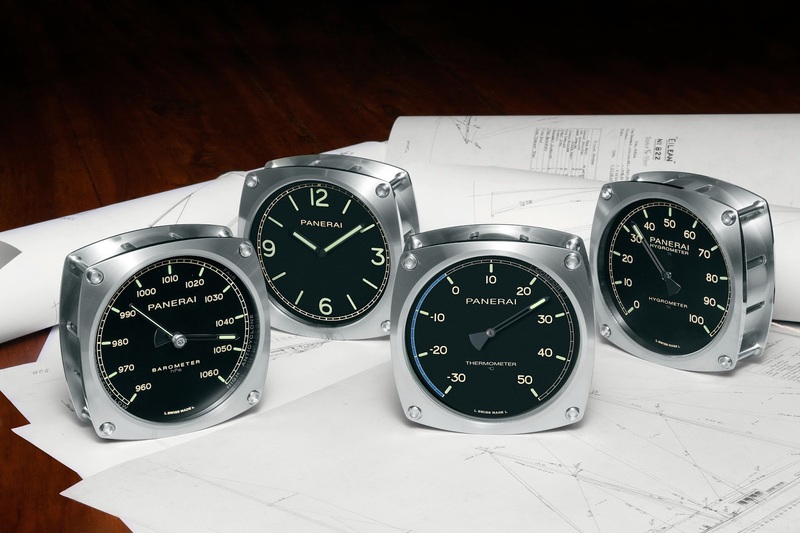 Today Officine Panerai launched a line of limited edition navigation instruments which were sponsored by Eilean, which is Panerai's vintage sailboat that was originally built in 1936. 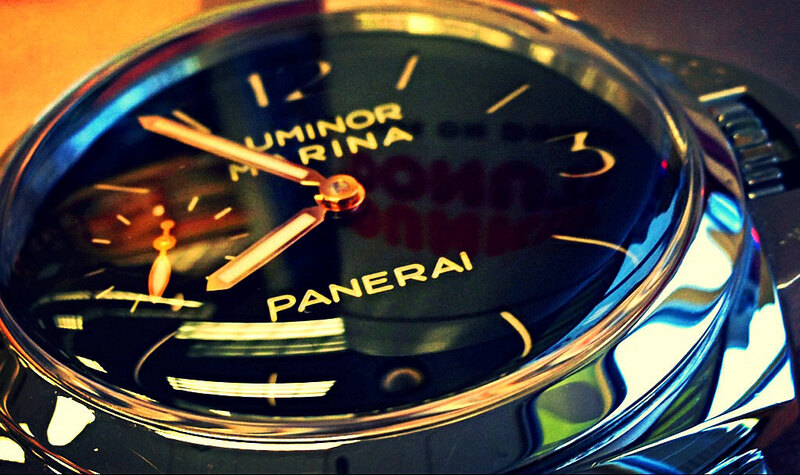 The Panerai wall clock is battery powered, which makes sense. The Photo below is of the Eilean which is Panerai's Boat that was made in 1938, and served as the inspiration for the new Panerai Clock show above. 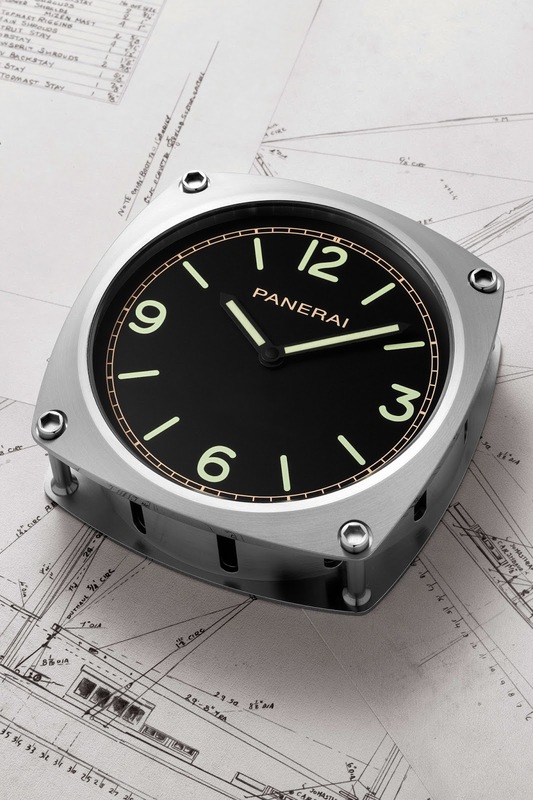 Inspired by the elegant lines of Eilean, the new Panerai navigation instruments evoke the world of classic yachts. It is Eilean, the Bermudan ketch of 1936 which represents Officine Panerai in the world of classic yachting, that has been the source of inspiration for the new navigation instruments created in limited editions and available exclusively in Panerai boutiques: the Barometer, Hygrometer, Thermometer and Wall Clock. Built in the very same year that the first prototype of the Panerai watch was supplied to the commandos of the Italian Navy, Eilean is one of the last designs of an all-time genius of naval architecture, William Fife III; he designed and built many of the finest classic yachts that are still sailing. 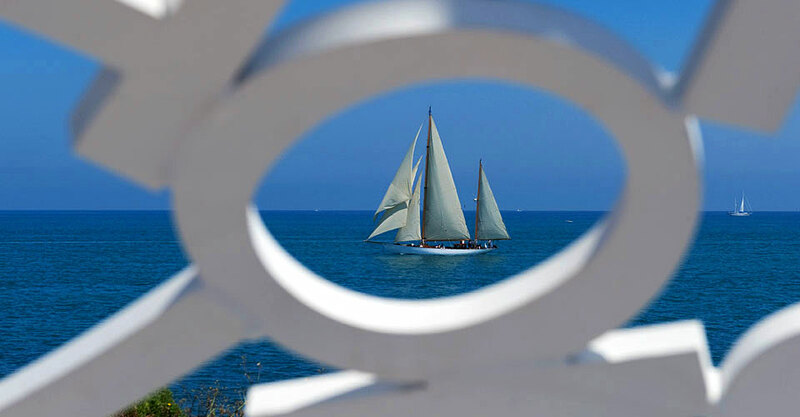 Acquired by Officine Panerai in 2007 and returned since then to its magnificent original state by a lengthy and meticulous restoration, Eilean takes part each year in the gatherings of the Panerai Classic Yachts Challenge, the main international circuit of regattas for classic yachts. 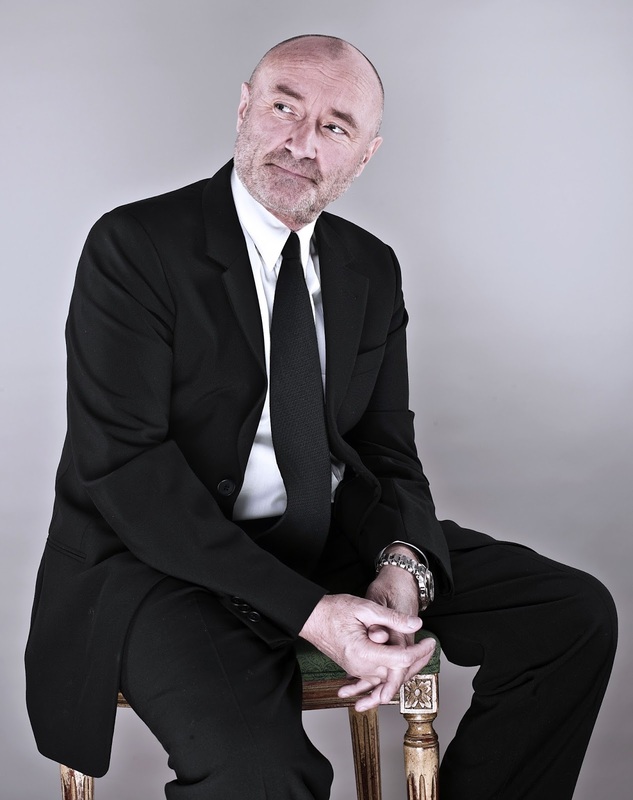 With its elegant, flowing lines, Eilean is a perfect example of authenticity, beauty and love of the sea. Since its return to the water after being restored, Eilean has been equipped with a range of instruments specially created by Officine Panerai, and it is these which have been the inspiration for all the new models. 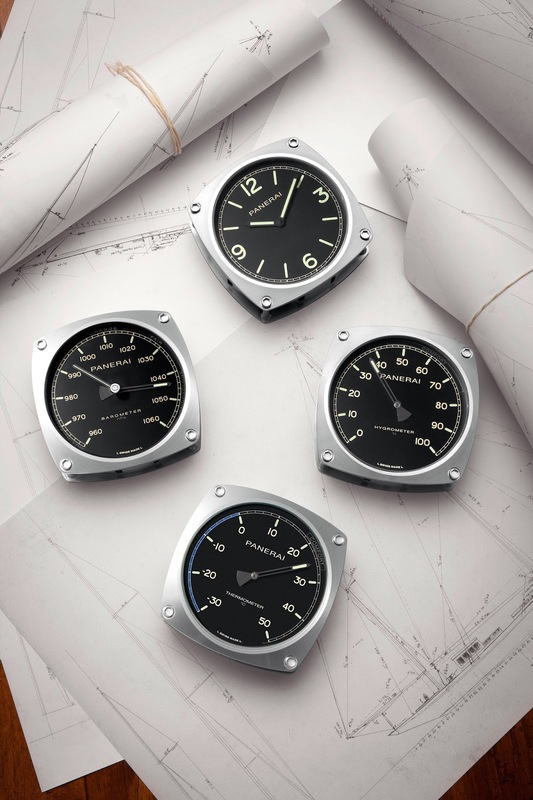 Like the originals in Eilean, the new Barometer, Hygrometer, Thermometer and Wall Clock are made of AISI 316L stainless steel, an alloy with a low carbon content valued for its great corrosion resistance, and they are 14 cm wide and 14 cm deep. They all have black dials of great simplicity and instant legibility, carrying the indications for displaying atmospheric pressure, the relative humidity of the air, the temperature and the time. These measurements were once indispensable for every sailor and still today, in an era dominated by digital information, they are an invaluable resource for those who still seek in sailing the classic flavour of an era now passed. In the past, time measurement was extremely important for sailors, because it provided one of the pieces of information used in calculating longitude, thus determining the ship’s position and course. 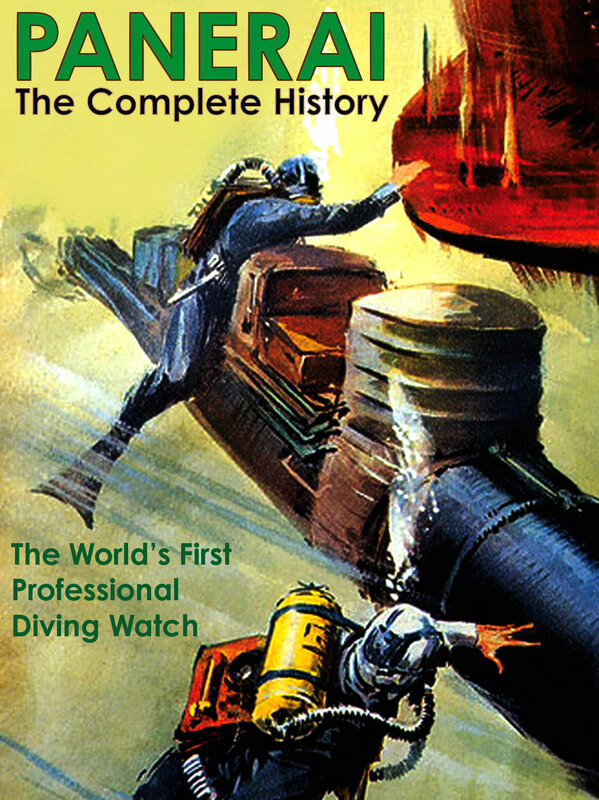 The need for a reliable timepiece on board led to the development of ever more accurate marine chronometers which could operate perfectly in adverse environmental conditions. Officine Panerai’s new Wall Clock has been created in a period when this need no longer exists, but it is nonetheless a useful tool to have, with a distinctive dial recalling that of the wristwatches made by Panerai. pressure. This information is used for weather forecasts, high atmospheric pressure indicating good weather while low pressure warns that bad weather is likely. The Panerai Barometer contains a metal box, called a barometric capsule, which is compressed to a varying degree by atmospheric pressure. This capsule expands or contracts as the pressure of the atmosphere varies and its movements are transmitted to an indicator hand. likelihood of rain and fog. Historically, its use was completely different: the first hygrometers were actually employed in the 14th century to resolve disputes between buyers and sellers of wool, the weight of which, and thus the price, changes with varying humidity, increasing on damp days and becoming less on dry ones. The thermometer is an instrument for measuring temperature. The first example to use the temperature parameters which are standard today was devised by Anders Celsius, the Swedish astronomer who in 1742 subdivided the scale of a mercury thermometer into one hundred parts from the freezing point of water to its boiling point. 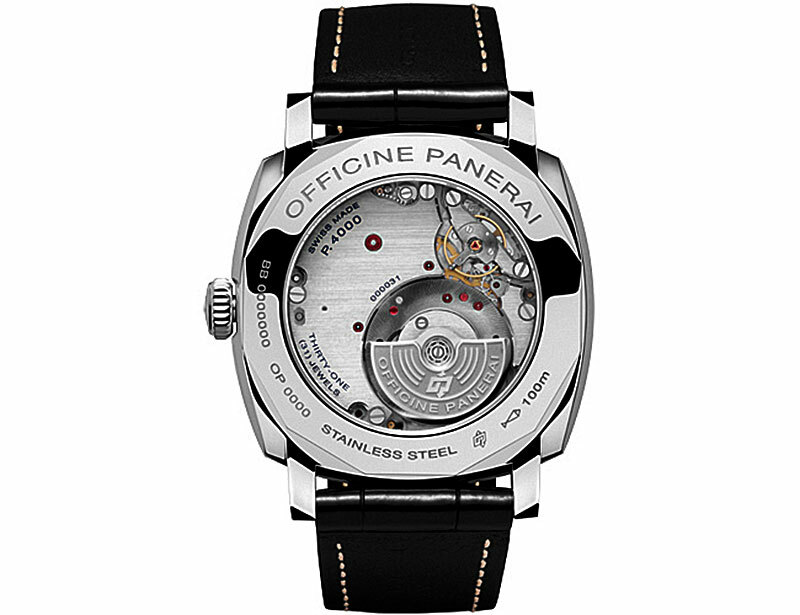 The Panerai thermometer operates by means of two metal strips with different coefficients of expansion bonded together: variations of temperature cause this bimetallic strip to bend. The bimetallic strip is formed into a spiral and a hand is fixed to one end of it, so that it rotates to indicate the temperature as it changes. 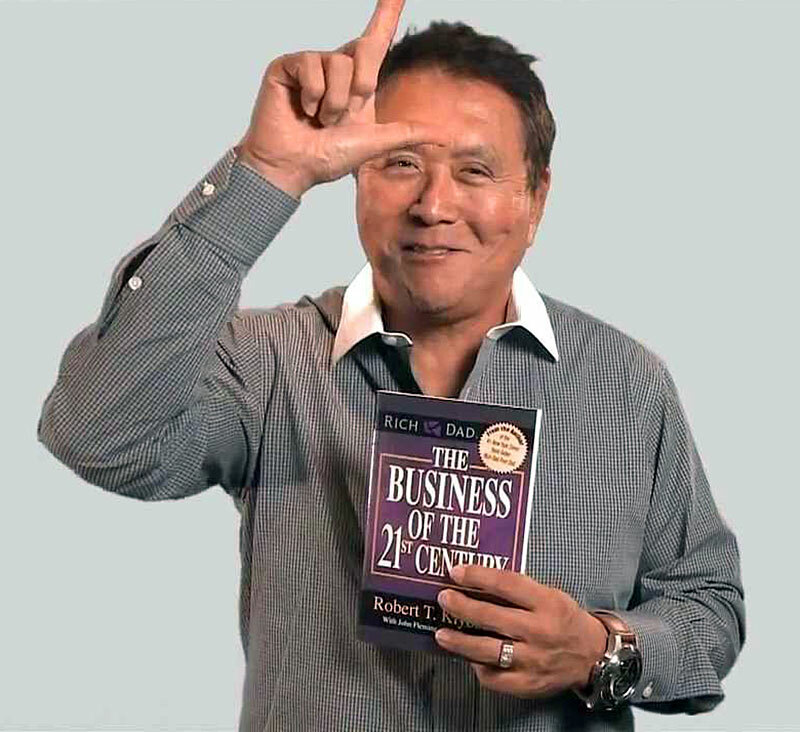 Robert Kiyosaki is a best selling author who is an American investor, self-help author and motivational speaker. 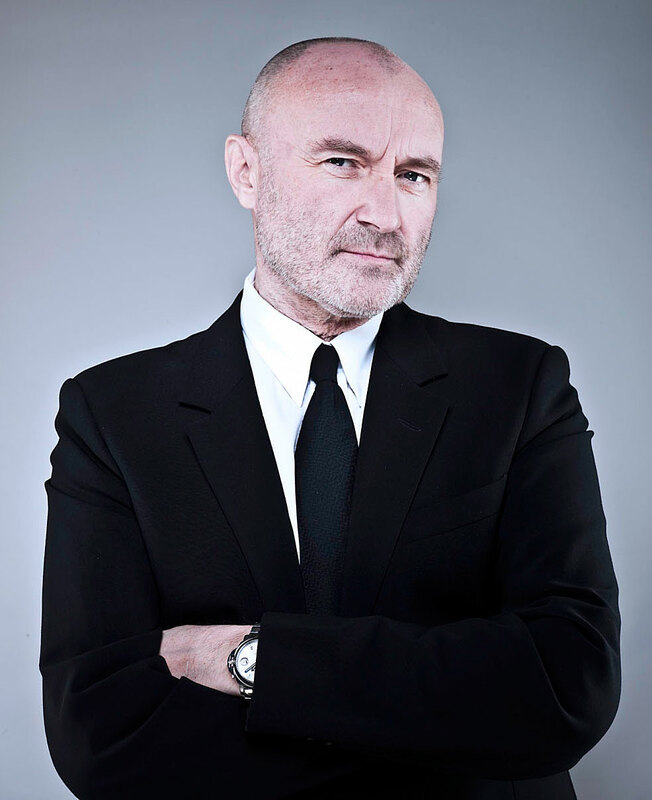 He is pictured below wearing a Luminor Panerai. 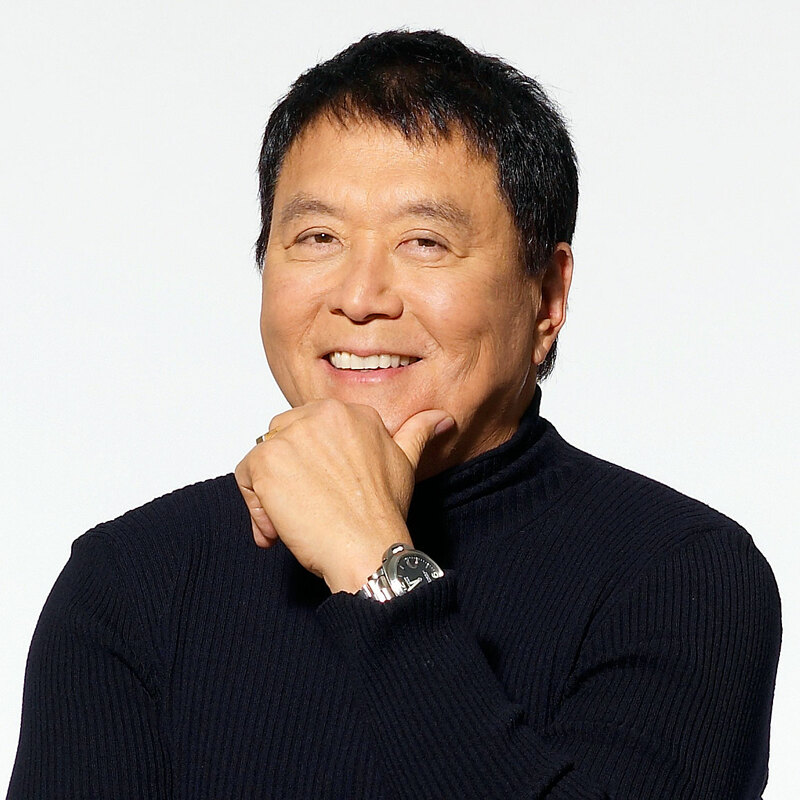 Robert Kiyosaki is probably most famous for authoring his book named Rich Dad, Poor Dad. 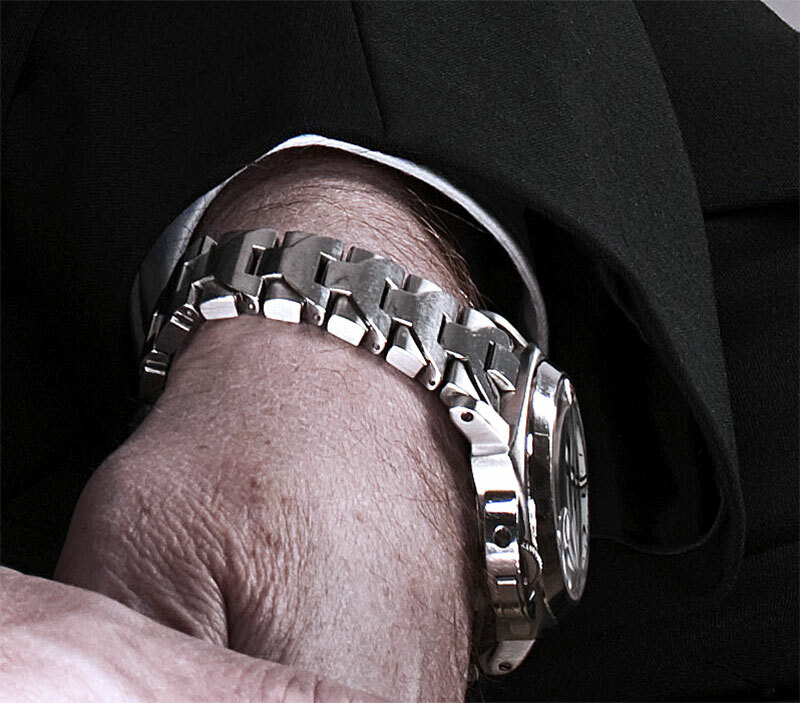 Robert Kiyosaki is pictured below rocking a Large Egiziano Panerai which is a whopping 60MM!!! 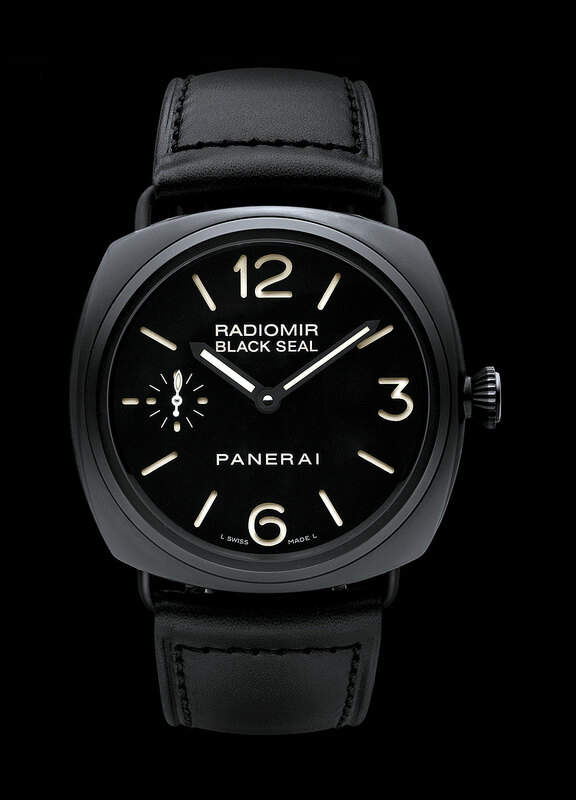 It is hard to believe, but Panerai just introduced another all-new model, which was NOT showcased at SIHH. 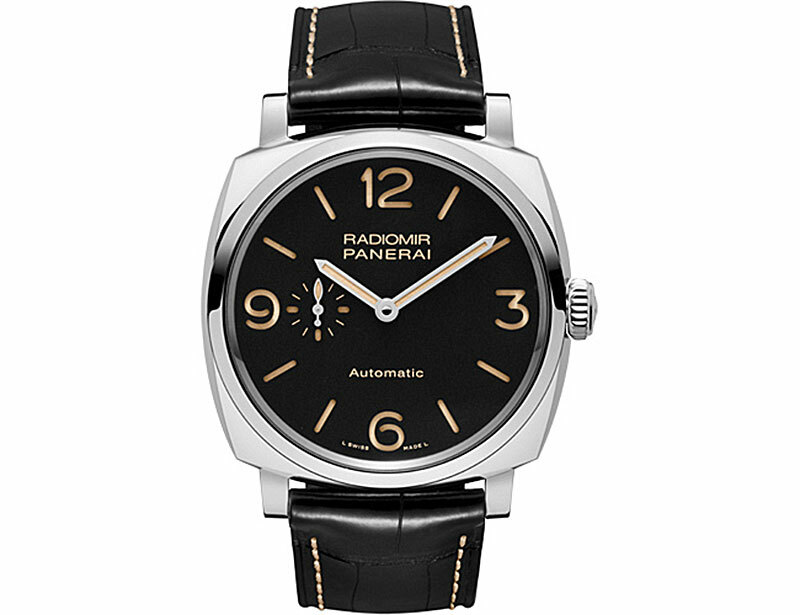 It is called the Panerai Radiomir 1940, and it is the first Radiomir model to be offered with an automatic movement. It is worth mentioning this all new model, despite being 45mm and not 47mm, is getting us closer to modern Officine Panerai offering a model based upon the legendary Reference 6154. This all-new Panerai model heralds a new era in Officine Panerai movement prowess with the debut of the P.4000 caliber movement. 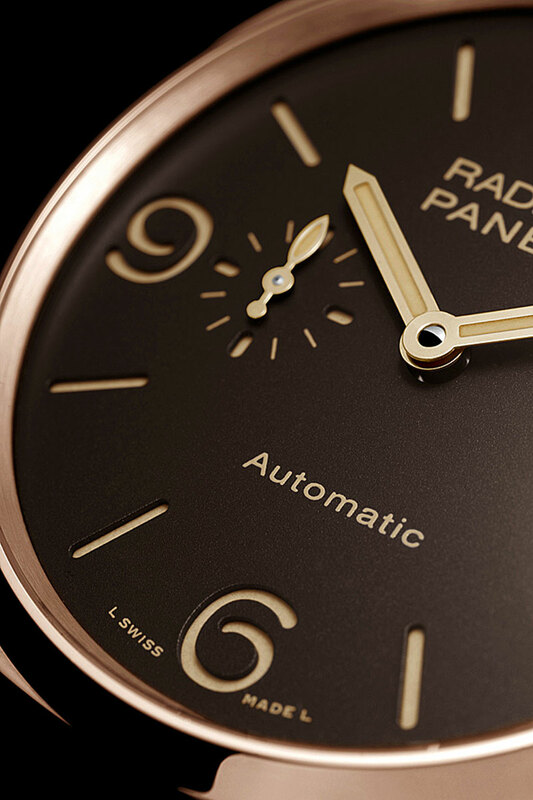 Not only is is the first automatic Radiomir Panerai, but it features an off-center micro-rotor, which reminds me of the micro-roter in the Patek Philippe Calibre 240 movement. Having this mini-rotor will allow Officine Panerai easily add more complications to the P.4000 in the future if the decide to do so. 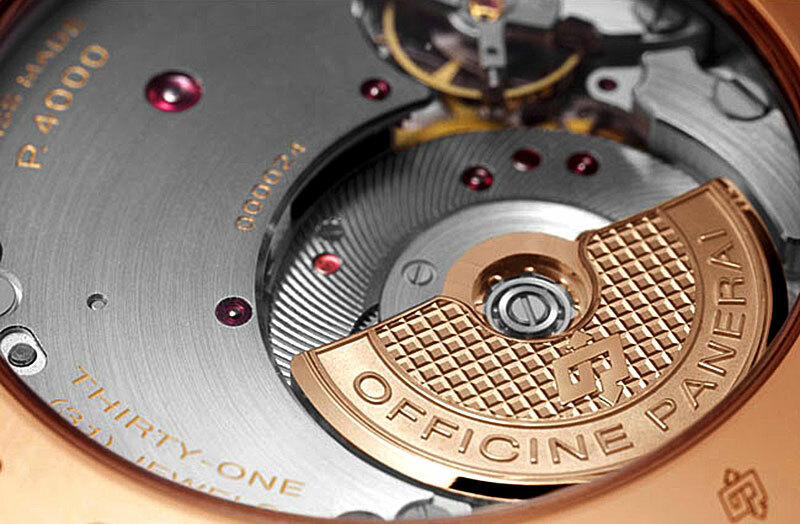 This beautiful new movement is made in Office Panerai's Neuchâtel manufacture, which I will be doing a future story on, and as I understand it, this new factory is not only super-state-of-the-art, but Panerai has invested heavily in R&D, which will allow them to expand their movements in complexity and sophistication. The Panerai PAM00572 will be available in stainless steel as well as in Rose Gold, and both versions will feature a sapphire crystal case back. 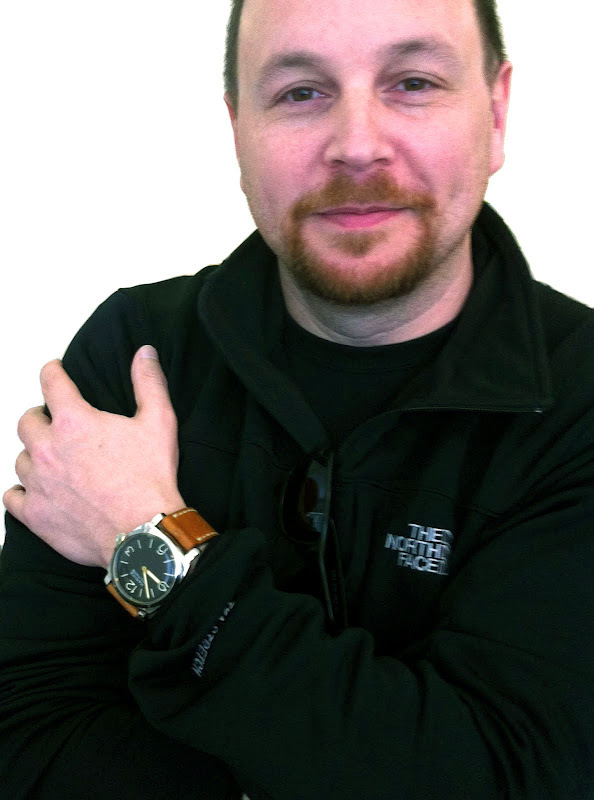 Tracey Llewellyn of QPMagazine.com wrote an excellent article that features many, many more details regarding this magnificent new Panerai Model, which I highly recommend. 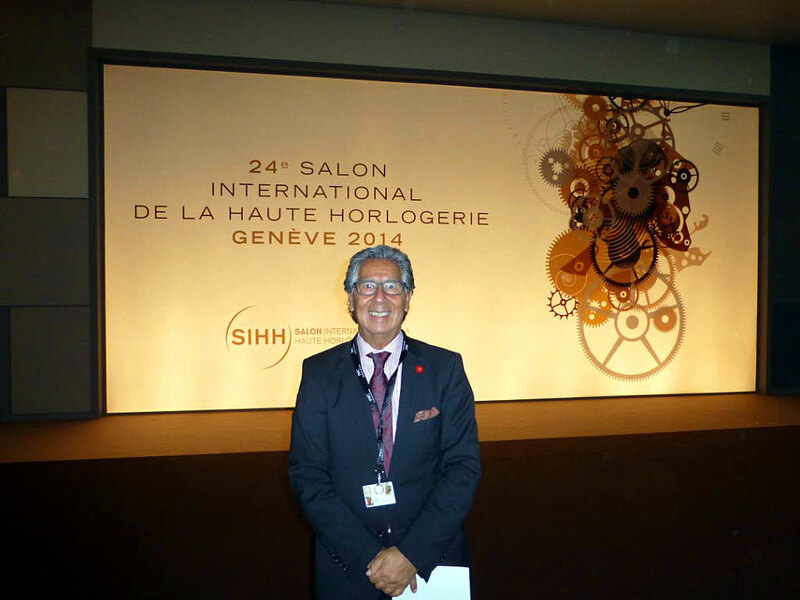 Two weeks ago I attended SIHH 2014 in Geneva, Switzerland where I live-blogged on many of the new Panerai model introductions, and today I have a different SIHH 2014 perspective to share with you. 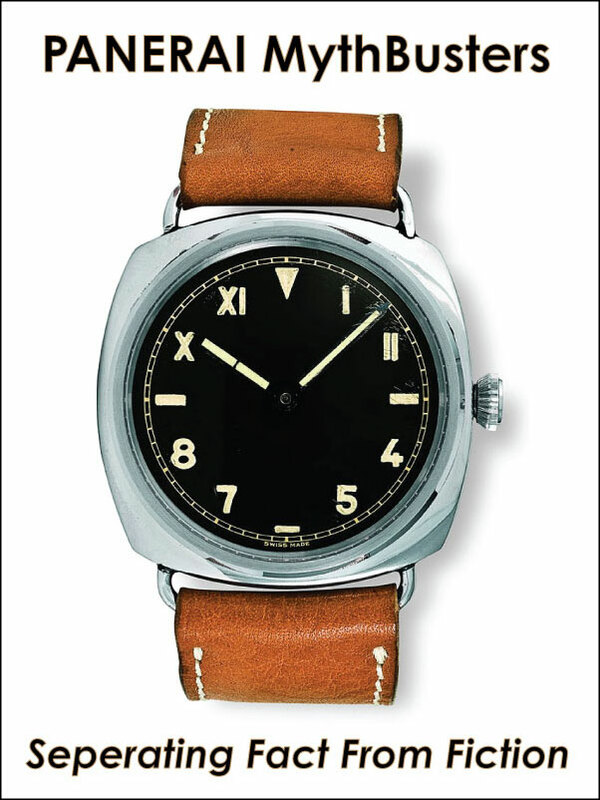 As many readers of Jake's Panerai World know, the ultimate web forum for all things Panerai is Paneristi.com. 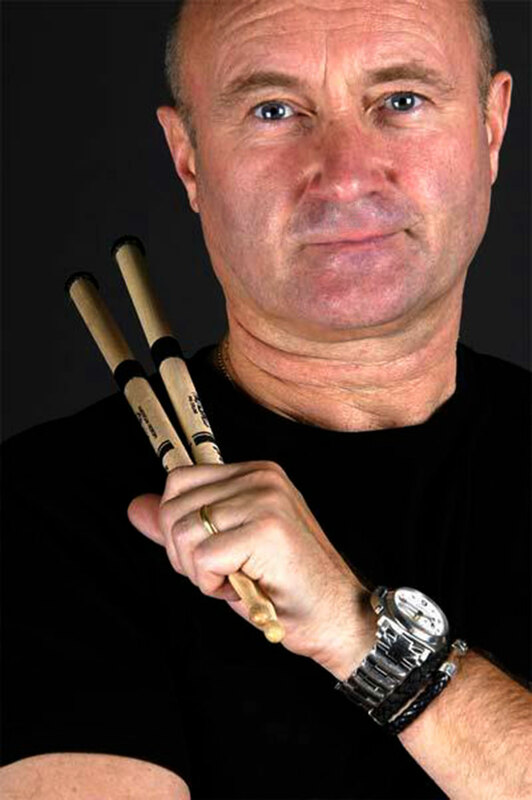 Paneristi.com has many fascinating members who regularly post interesting stories and information, and in my minds eye, the two most interesting members are Hammer and Nad, and Nad recently posted a fascinating photo-centric story on Paneristi.com about his 2014 SIHH experience which I highly recommend checking out. Nad is pictured above at SIHH 2014 in Geneva Switzerland, and in the photo below we see a wrist shot he took of his PAM00399, which is an extremely cool and rare Panerai.